Believe it or not, today is supposedly the first day of spring! If, like me you're based in the UK, then you're probably still shivering away thinking what a load of nonsense. 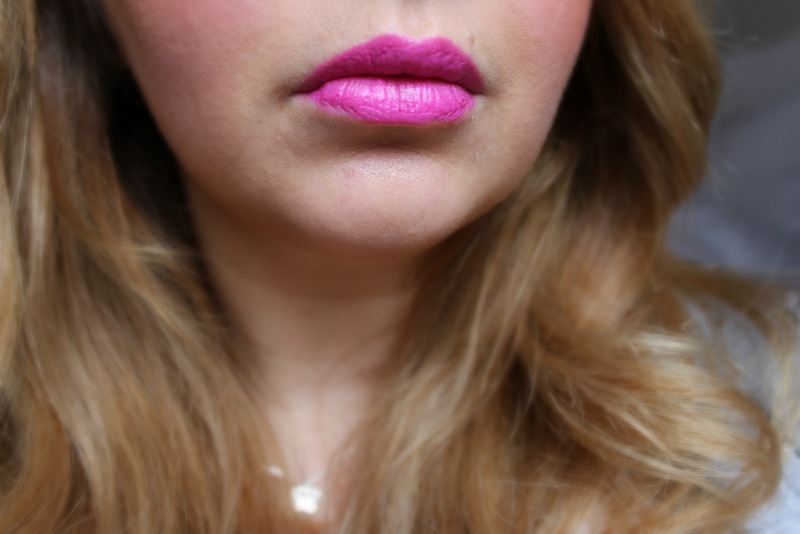 So, today's post is all about my current favourite bright lipsticks to put you a bit more in the springtime mood. Around this time of year I'm always compelled to reach out for peachy shades whether that be lipsticks, nail polishes, clothes, shoes, you name it! This pallet becomes progressively brighter towards summer time, usually to the point of blinding those around me. Today's lippies cover both ends of the spectrum. 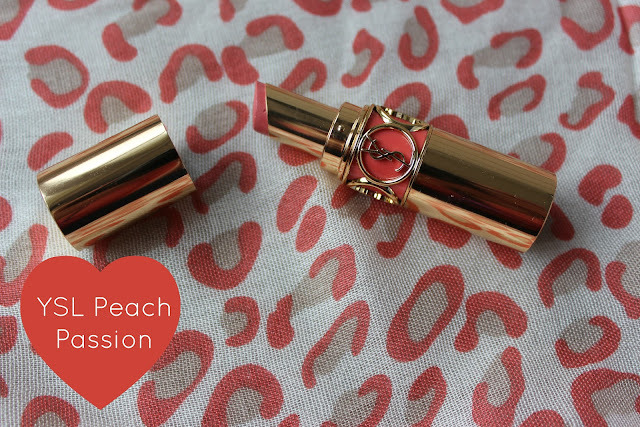 YSL's Rouge Volupte #13 Peach Passion fits the peach bill perfectly. 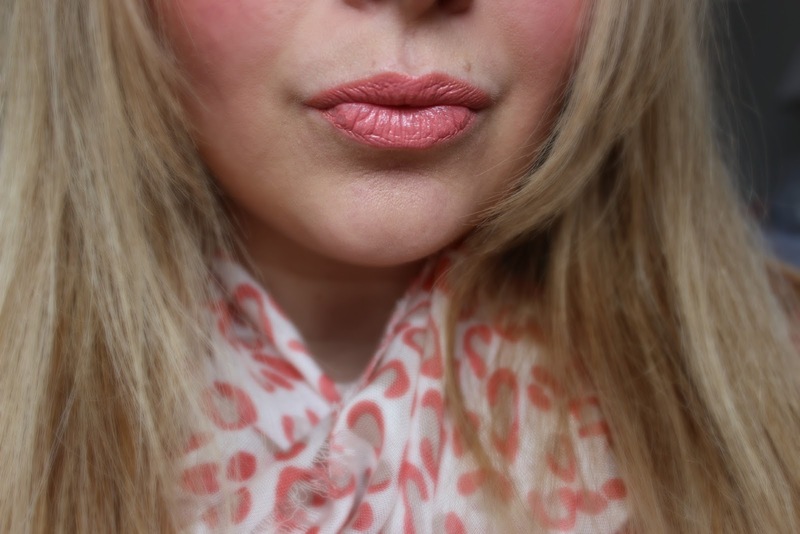 I find peachy toned lipsticks notoriously difficult to wear, often appearing 'stuck on' rather than blending in with my skin tone but fortunately I don't have any such problems with this shade. As with all the YSL Rouge Volupte shades, this is beautifully creamy and lightweight, unfortunately this does mean that it doesn't have great staying power and I find I have to reapply after 2-3 hours. It does have a slightly fruity scent but it's not offensive enough to put off my current superhero strength olfactory senses. I'm am also currently in love with Mac's Candy Yum Yum Matte Lipstick. Originally a limited edition, this shade was brought back due to huge demand and I was lucky enough to get hold of the last tube left in the Kings Road Mac store. Although this lipstick is extremely bright with bluey undertones, I still find it flattering and incredibly wearable. Thanks to it's matte texture, this bad boy is an alldayer ( yeyy!!) although this does mean it's on the drying side so I just apply coats of lip balm as it fades through the day and at the end I'm left with a pretty neon stain on my lips. If this post has managed to get you in the mood for springtime then check out my latest guest post with some inspiration for spring and summer fragrances over on my blogging buddy Karen's 365 Pearls of Wisdom. Oooh I LOVE the YSL one! Why is it that I fall for packaging every time! I want the YSL one just because the stick is so darn gorgeous! I am adding this post to the Britmums beauty round-up so look out for it! I'm a sucker for YSL packaging too, it's just so luxe! 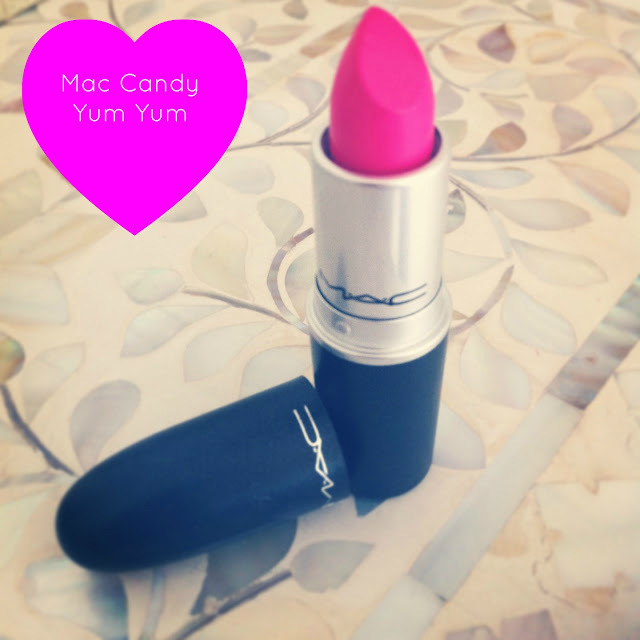 Hi beautiful :-) I was so ridiculously happy when MAC announced they was bringing back Candy Yum Yum, it's a perfect go-to matte pink in my opinion. The pigment in it is a dream and although it is quite drying on the lips, a lip balm does always come in handy ha ha! Great review and I also want every colour YSL lipstick, which is highly unnecessary but what can I say, they are amazing.